Coastal Carriage House — Uncarved Block Inc.
A timber frame carriage house outside of New Haven, CT. Uncarved Block designed, cut the frame, and enclosed the boatshed. 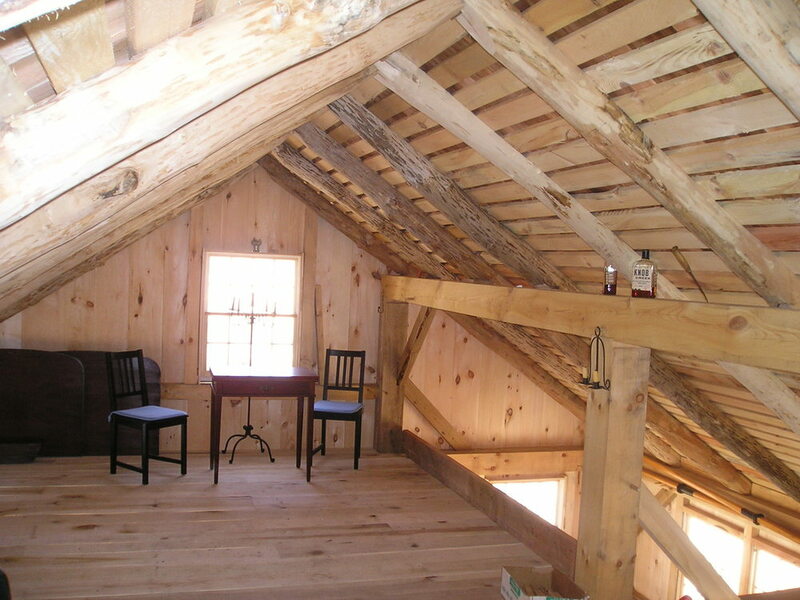 It features 13 different timber species, and log rafters and floor joists. This timber frame carriage house in Connecticut was designed by Brad to hold the client’s fishing boat and canoes. The timber frame is constructed from 13 different species, and features log floor joists, log rafters, and book-matched braces. The frame was hand-raised with 60 volunteers on a cold December day. We closed the frame in with native pine siding, transom windows above the doors, loft flooring milled from a poplar tree on site, and cedar roof shingles.